We care for our employees and their families, we care for those who have given us the land on which we have built our plants, and we care for the enrichment of the communities in and around our units of operations. In as much as we care for our customers and their satisfaction with our products and services. We have identified Corporate Social Responsibility at the heart of our business processes, and we do believe that by investing in these communities and in considering them as joint stake-holders in our business, we have grown to the stature where we are today. Education is a key factor in how we can enhance a community and an individual’s prospects and aspirations. So one of the areas we are focusing on is to improve the lot of the government schools in the identified villages, both in terms of facilities and teaching aids. This means working with the head master and the village elders to understand what is lacking, what they need, and then decide how to prioritize. There are plenty of challenges, but there is also a huge satisfaction to see the happy faces of the children and the teachers. Kharagpur in West Bengal is one of our three manufacturing plants. Around the plant we have identified four schools in three villages. These are existing government schools which often struggle with a paucity of funds and other issues that are intrinsically their own. Our intention is to work closely with the locals to understand their problems and then arrive at a practical solution. We believe that without enlisting their cooperation, no solution can be permanent. As the community realizes the benefits and takes pride in the project, they themselves strive to keep it going. This was one of our first projects in the village of Rupnarayanpur. We have been involved with the project for four years. It is one of the oldest schools in the district, established in 1954. 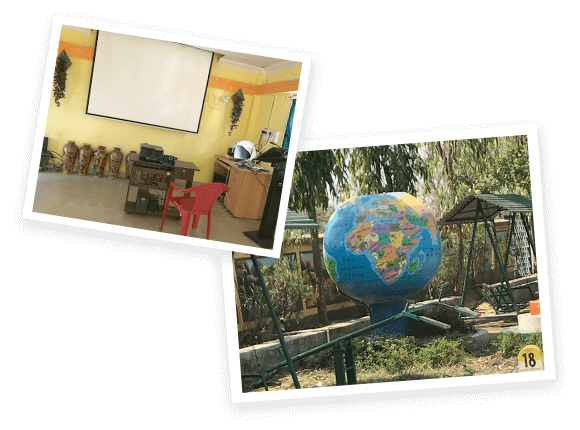 In conjunction with its dynamic headmaster we have built extensions for the school, painted the building walls in bright colours and murals, built and marked the driveway with distance markers, and built an e-learning classroom.The children are now involved in planting and maintaining the landscaped garden. As a result, the school environment is bright and cheerful, which is welcoming for the children, and conducive to learning. Encouraging learning is one of our key objectives: starting from the primary school level. To facilitate this, we have provided a Google board to the school – to enable both teachers and students to access the internet and make learning interesting and enjoyable. The idea is to eventually link city and village schools with each other so that they can benefit from advances in technology, learn from the internet under supervised guidance, and be able to do so simultaneously. Our long-term vision is to use this facility to educate village mothers regarding health, hygiene and nutrition for their babies. Together with the villagers we have identified primary health care as the next area of concern and therefore plan on using tele medicine to improve the quality of their lives. As a corollary to the emphasis on creating happy environments in primary schools, and encouraging meritorious students to study further through scholarships, we are currently providing a bus service to take the children to the middle and senior school which is quite some distance away. 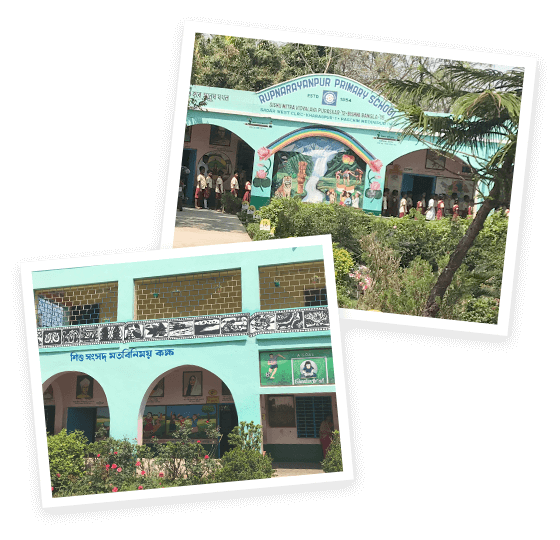 Again this particular school did exist in Rupnaranpur, but barely just. 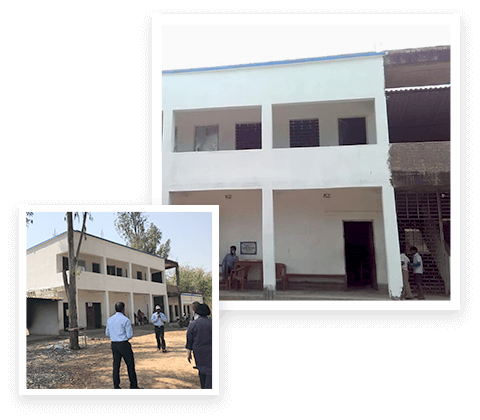 By providing a visible boundary wall to the school we have already created a ripple of pride in its existence. One of the reasons for the high dropout rate of girl students was that the parents were wary of safety and security issues of sending them out of the village and far away to study. That their fears have been addressed is evident from the increasing number of girl students now attending this school. Jambandi village is a tribal village near our plant. The villagers are extremely appreciative and very proud of what this little primary school symbolizes for their children; after all these children are their hopes for the future. 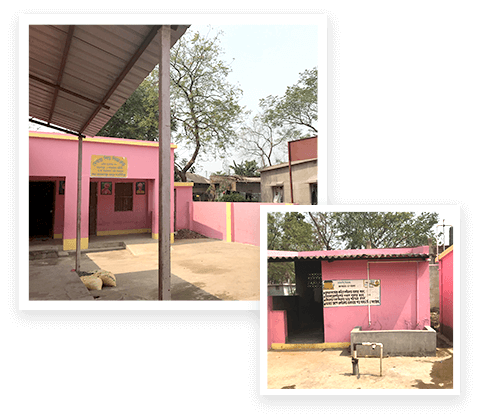 Here again we have provided a boundary fence, built separate toilets for the boys and girls, provided a reservoir, pump and running water facilities. Our plan is to build a covered verandah for the children to continue with their studies in the monsoons, and reinforce and waterproof the ceilings and walls, including in the community kitchen area. Dishinda is another village near the Kharagpur plant. We have built two proper classes for the Dishinda Primary school with lights and fans and false ceilings. Like in the other schools, here too we have built separate toilets for the boys and girls. This, to tackle the high dropout rate for girls. Yes, at Tata Hitachi We Do Care. We care for the society we live in and we believe we exist because we uphold the trust and faith this society places in us.